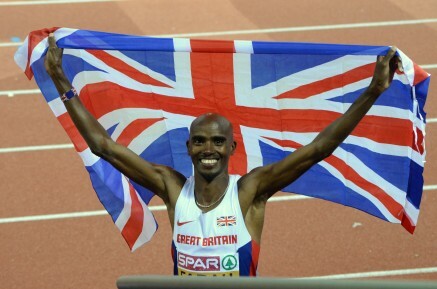 13th August 2014 – Olympic and World Champion Mo Farah (GBR) regained the European 10,000m title that he last won in 2010. The European Championships have always provided Mo with career stepping stones as he first showed his potential with a silver medal over 5000m in 2006. Then in 2010 he announced himself as world class when winning both the 5000m and 10,000m, defending the 5000m in 2012. With this history behind him Mo did start as favourite but races and championships still have to be won. The pace was never quick but there was plenty of surges that slowly took its toll on the field. Entering the final kilometer there was only six athletes in contention with Mo controlling the pace and he would never be headed. As has become now almost customary Mo kicked hard over the final 400m and finally got his winning lead in the last 50m to take the title in 28:08.12. This is the ninth major track title of Mo’s career and he will be going for number ten in the 5000m final on Sunday night. This was the highlight of a very satisfactory days work for PACE athletes. World Champion Christine Ohuruogu (GBR) was an automatic qualifier for Friday’s 400m final and Matthew Hudson-Smith (GBR) won his semi-final to progress to the 400m final as the fastest qualifier. Finally, after announcing he will retire at the end of this season former European Champion Andy Turner (GBR) made his way through to the 110m hurdles semi-finals.